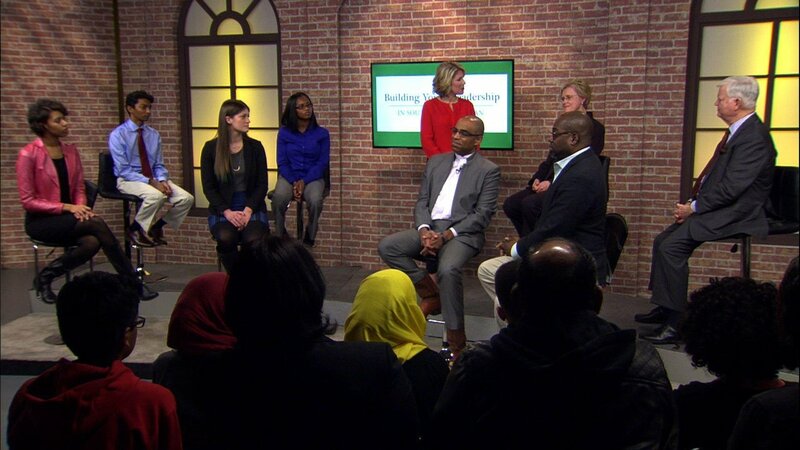 The Community Foundation for Southeast Michigan brought together hundreds of young people from diverse backgrounds to create 18 projects to promote positive change in Metro Detroit. These projects addressed social justice issues that focused on education, community involvement, safety, and opportunities. 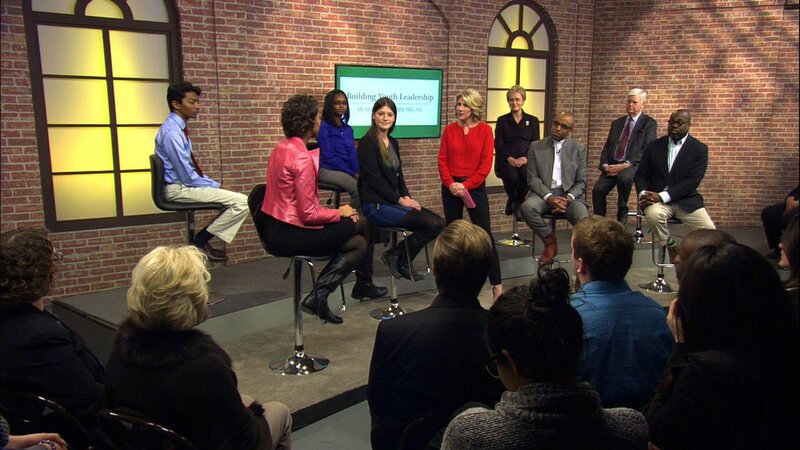 During the ‘Building Youth Leadership in Southeast Michigan’ program you will meet four impressive youth leaders that have had an impact on the community through their projects, as well as 4 adult civic leaders that share similar goals. These 8 panelists were brought together to discuss their projects, their experiences, their future plans, as well as advise for one another and provide useful insights. 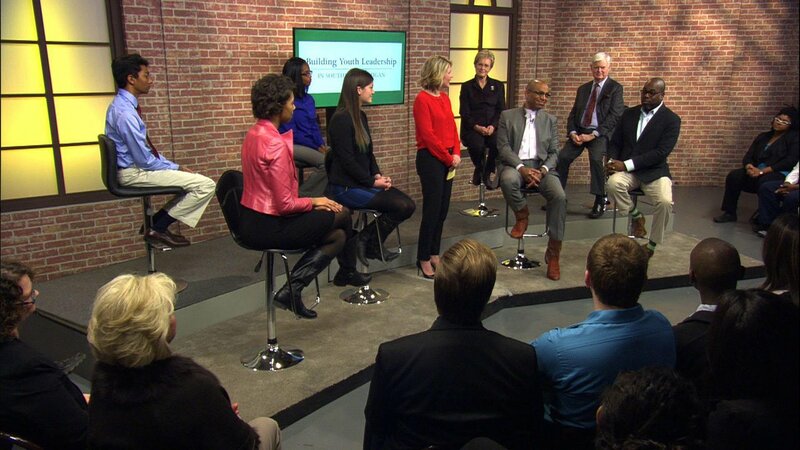 'Building Youth Leadership in Southeast Michigan' aired on DPTV 56.1 on January 18, 2016 at 7:30 p.m.
Aaron Dworkin is the dean of the University of Michigan’s School of Music, Theatre and Dance. He is also the founder of the Sphinx Organization, a leading national arts organization working for diversity and inclusion, particularly in the performing arts. Stephen Henderson is a Pultizer Prize-winning editorial page editor for the Detroit Free Press. 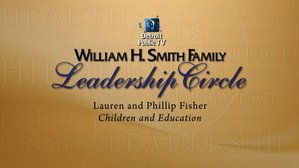 He also hosts Detroit Today on WDET public radio and American Black Journal on WTVS. Mariam C. Noland is the founding president of the Community Foundation for Southeast Michigan, which under her 30-year leadership has grown to be one of the largest community foundations in the country. Joseph L. Hudson, Jr. is the founding board chair of the Community Foundation for Southeast Michigan. He has served for 45 years in a variety civic leadership roles in organizations supporting the arts, economic development and urban revitalization. Abhjay Kumar is a first year student at Johns Hopkins. For the YOUth Social Justice project, Abhi worked with other youth leaders in Farmington Public Schools to facilitate activities and dialogues to promote diversity education in schools. Harmony Rhodes is a first year student at the University of Michigan Dearborn. For the YOUth Social Justice project, Harmony worked with other youth at UPREP to develop a program to promote diversity, social justice, and engagement through school programming and school exchanges in the metropolitan region. Kiristen Hubbard is a high school senior at Belleville New Tech and is dually enrolled at Washtenaw Community College. For the YOUth Social Justice Project, Kiristen worked with other youth leaders from the Corner Health Center and Ozone House to conduct research about youth’s perspectives around health and safety in the community and recommendations for actions. Meaghan Wheat is a first year student at the University of Michigan Ann Arbor. For the YOUth Social Justice Project, Meaghan has been a member of the Metropolitan Youth Policy Fellows, the group that conducted the research to support the YOUth Social Justice Project and worked to develop the overall effort.